Officials with the National Highway Traffic Safety Administration (NHTSA) recently unveiled a new campaign that’s working to get parents to talk with the teen drivers in their family about five important driving habits. This effort is to help to protect our youngest, and most vulnerable travelers. The new campaign, “5 to Drive” has been launched alongside this year’s National Teen Driver Safety Week. “The ‘5 to Drive’ campaign gives parents and teens a simple, straightforward checklist that can help them talk about good driving skills,” said Anthony Foxx, U.S. Transportation Secretary. Our Highland car accident lawyers understand that there were close to 50,000 American drivers under the age of 21 who were involved in traffic accidents in the state of Indiana in 2011. Of these, close to 60 were killed as a result. Teen Driver Safety Week is observed each October and is used to promote outreach efforts that encourage communities to support the families of teenage drivers. Here in the state, organizations like Indiana Students Against Destructive Decisions (SADD) are getting involved by hosting events across the state that speak directly to young drivers about the dangers of distracted and impaired driving. According to the NHTSA, car accidents are the leading cause of death for teens across the nation. In 2011, there were more than 2,100 teens who were involved in fatal accidents in the U.S. Of these, close to 1,000 were killed in the accident. Many of these accidents could have been prevented if our young drivers were provided with a more concrete driving foundation. -No cell phones or text messages while driving. -No extra passengers in the vehicle. -Obey the speed limit at all times. -Always wear a seat belt. -About half of all teens who were killed in car accidents were not wearing a seat belt at the time of the accident. -Speeding was a factor in close to 40 percent of all teen driver accidents. -More than 10 percent of teen drivers who were involved in a fatal accident were distracted when the accident happened. Peer pressure and poor decisions can greatly affect our teen’s safety behind the wheel. The time of day also has a serious effect on their risks behind the wheel. As a matter of fact, fatal teen accidents are most like to happen between 3:00 p.m. and 8:00 p.m. and continue through midnight. We’re asking parents to step in and to step up now. Have the chat with the teen driver in your family and help save lives. It’s critical that we share these habits now — before it’s too late. 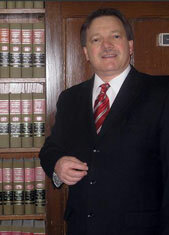 Attorney Burton A. Padove represents auto accident victims. If you or a loved one has been injured, call (219) 836-2200 for a free and confidential consultation to discuss your rights.